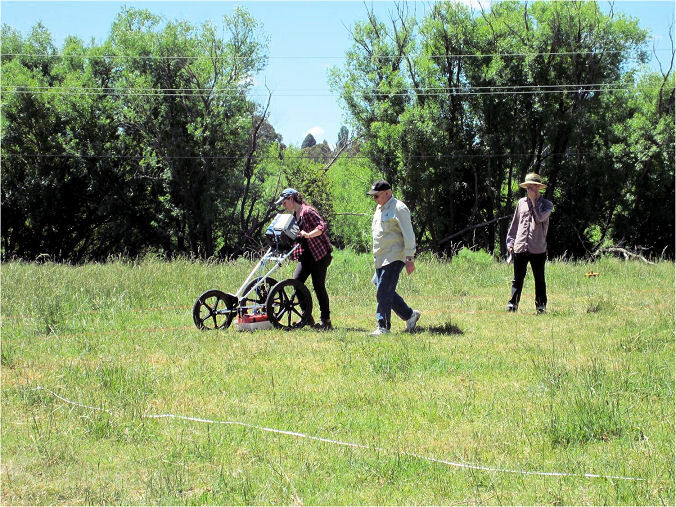 In 2014 research located the site of a long forgotten World War I instructional trench system in Canberra, now largely within the Jerrabomberra Wetlands Nature Reserve. Initial ANU geophysical investigations in 2014 proved inconclusive, and these were followed by archaeological excavation in mid-2015. This revealed that the trenches are still visible below the surface, and indicated their layout relative to today's surface features. 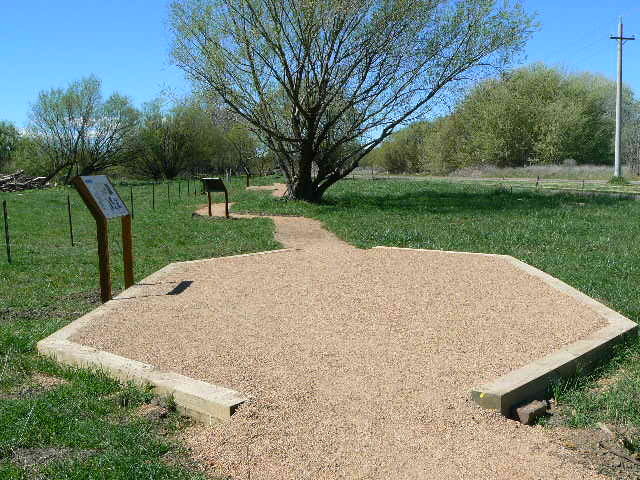 Late in 2015 the first steps were taken to develop an interpretive trail at the trench site within the nature reserve. 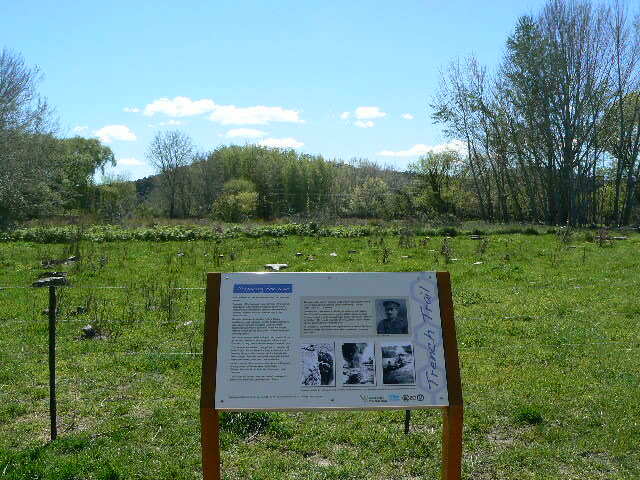 This had several components: interpretive/educational signs at key locations, marker posts indicating key trench alignments and junctions across the system, and a self-guiding leaflet for visitors, with a wheelchair-friendly loop trail. 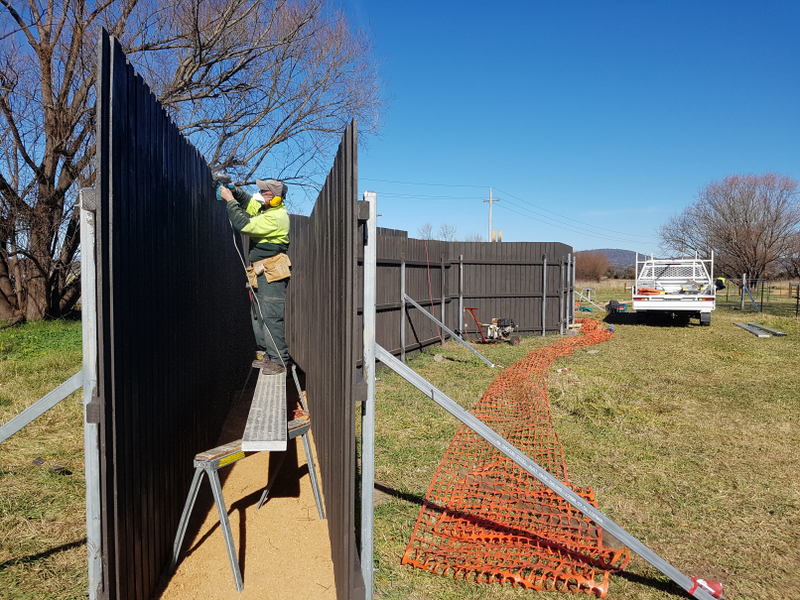 These developments were funded by the ACT Government through the ACT Heritage Grants Program and through the ACT Parks & Conservation Service. 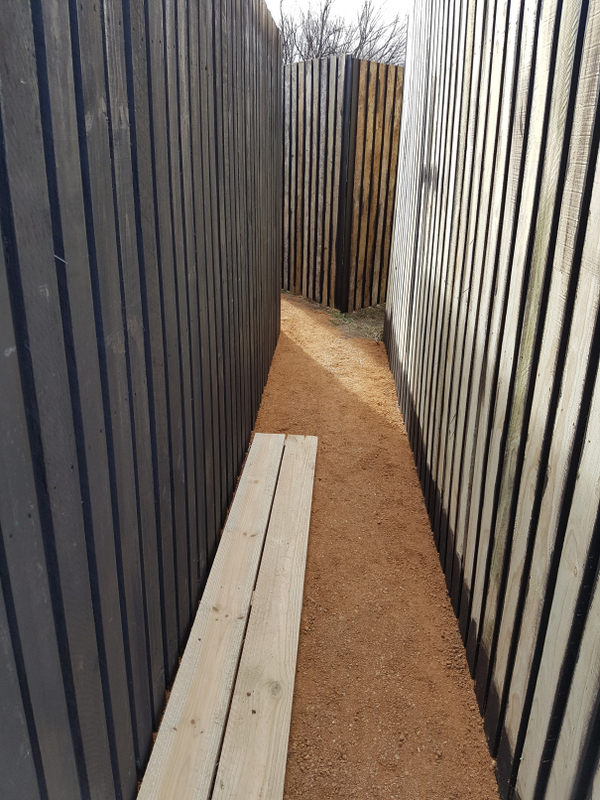 Since that time, during 2017 the trail was improved and the first stage of a 'mock trench' orientation structure was erected to enhance visitor experience. 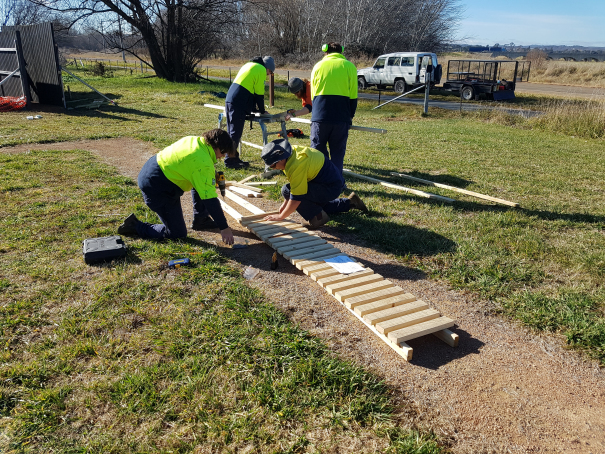 This was enabled by the Green Army program and additional resources from the ACT Parks & Conservation Service. The entrance sign is part of the 'Canberra Tracks' system. It introduces visitors to the 'Bombing Paddock' and outlines the background to establishment of the trench system in 1916 and its subsequent fade from memory. A sinuous path to the next sign illustrates at real scale a trench layout designed to minimise damage from bomb or shell blasts and to assist defence of a trench from enemy raiders. The second sign explains establishment of instructional trench systems around the nation from 1915 and the Duntroon Trench Warfare & Bombing School in particular, acknowledging the efforts of the scheme's leader Maj. E L D Brownell. This sign is adjacent an observation platform in the hexagonal shape and dimensions of an island traverse, a major technological breakthrough used in this trench system. The third sign outlines the kind of training undertaken here, illustrated by images taken on site in 1916. This sign adjoins a forward traverse, another device used in a sophisticated trench layout. The next hexagonal observation platform is just forward of the line of the 'attack trench' from which troops would advance on the enemy lines. Here a fourth sign explains the layout of a model trench system of the time, detailing a sequence of specialised trench structures, each with a physical form that is matched to its specific purpose. This is mirrored at the opposite end of the system, behind the line of the 'enemy trench'. These steel posts mark the inferred alignments of the trenches below the surface. Each carries one or more coloured hexagonal tags that label the specific trench to which they relate. This enables visitors to discern the approximate alignments from post to post along the length (north-south) and breadth (east-west) of the system. The initial stages of a wheelchair-friendly loop trail were installed in 2015-16. These provide access to the interpretive signs and observation platforms. At present they are limited to areas that can be mown, separated by gates and fences from the rest of the system which needs to be grazed to control grass growth until such time as the whole site can be mown. The trail on the eastern stretch of the loop will be constructed once works are completed to remove dead trees from the site and from the banks of the river. This will provide a very pleasant riverside walk that approximates the line of a north-south communication (entrance) trench, with marker posts to signify that line and its intersection with east-west trenches in the sequence. It then crosses 'no man's land' and the zone of barbed wire and subterranean saps and galleries to intersect the line of the 'enemy trench' and the observation platform that provides a view back along the system. The leaflet is dispensed from a box next to the Canberra Tracks sign at the entrance to the site. It gives brief background, along with a diagram of the system layout and information about the function and form of each element. These are colour-coded with the hexagonal tags on the marker posts to aid navigation. The site has its own identity within the system of trails within the nature reserve, designated the 'Trench Trail'. Archaeological excavations in 2015 showed that the modern water table in the floodplain is too high to permit examination of the floor of the trenches, where most of the artefact mkaterial is likely to be found. It also demonstrated that there was no option available to leave a section of excavated trench open for inspection. If we can't go down, then why not go up? In 2017 a 'mock trench' was commenced - a timber structure which simulates the depth and breadth of a fire trench and its complex layout, with a full scale island traverse. This allows visitors to experience the dimensions of a trench and the difficulties of knowing what is going on beyond it, or along it if enemy raiders penetrate it. Subsequent work has added a fire step and some sections of duckboards. Organised trench tours allow visitors to use periscopes to see beyond the trench without being exposed to 'the enemy'. Future enhancements include loopholes and marking of sandbag lines. The front line fire trench in the system is known to have included both machine gun emplacements and offtakes of saps and tunnels, and these are also planned as enhancements to the 'mock trench'.